Nothing is certain in life, especially success. That is certainly true of our industry, where products fail to launch, scripts never make it to production, entire companies (production, gear or otherwise) rise and fall in a heartbeat. But it’s a harsh reality many in the entertainment industry are faced with every day, and one many still need to learn to embrace. Few would call Babe Ruth a baseball failure, but he “only” had a lifetime batting average of .342 with 8,398 at-bats; or, out of every 10 times at-bat, there was a good chance he’d strike out instead of getting on base. Michael Jordan said he failed again and again, which was why he succeeded. 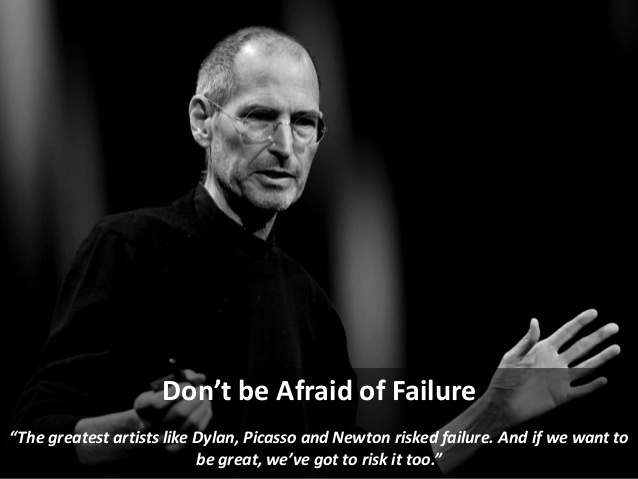 Steve Jobs had three major setbacks – dropping out of college, being fired from his own company and cancer. Every time there was a setback, he stepped back, reexamined his goals and moved forward. Walt Disney, Winston Churchill and Thomas Edison all had big dreams, set goals, worked hard and … failed. It’s not called “trial and error” for nothing. It’s not easy, it’s not fun, but it’s the most effective way of learning and reaching your objective, your goal. Sure, succeeding, hitting a homerun every time beats the heck out of striking out because it hurts. At the same time, unless the failure totally paralyzes you, it can help you move forward, grow. If it does cripple you, you’ll follow the path of Willy Lowman in Arthur Miller’s Death of a Salesman. Read a story about almost everyone and they all had major setbacks, but they turned these failings to work for them and were better for the experience. Of course, making a career of failing doesn’t put much money in your pocket either. People who fail and blame others never make much progress because according to them, everything is outside of their control. Those who face setbacks head-on do it by controlling their emotions, adjusting their thinking, re-calibrating their goals and developing a new plan of action (sometimes in a totally new direction). They will often tell you succeeding is sweet but beating failure is so much sweeter. True, there are times when stuff just happens! Deal with it, get over it, move on. Lighten Up – People who bounce back from setbacks tend to have a sense of humor. Take what you’re doing seriously but not yourself. You have to be able to step back, take a new perspective and laugh about the stupid, obvious (now they are) errors you made. Get over it and yourself. Misery Loves Company – Look around. There are more people who have failed who are a whole lot better than you. In the ‘90s Donald Trump owed billions of dollars and later burned through a couple of wives. Then, he had his own reality TV show, a star on the Hollywood walk of fame, an interesting run for U.S. Presidency. He mastered the development of a coping, recovery strategy, an ego and “memorable” hair style. Feel Guilt, Not Shame – Guilt is about something you did or didn’t do. Shame turns the failure inward and there’s something broken … in you. Feel bad about failing and figure out what you should have done and do it. Get out of your own way. Cultivate Optimism – Set your goals so you have to reach, stretch yourself to achieve them. Know you’re going to win. Even if the result wasn’t the objective you set out initially, you still moved forward … that counts. No One Owes You – In today’s economic environment, there’s no assurance you’ll have a job tomorrow–no matter how creatively, diligently you work. You’re a company of one and that company you control, you own! Scale Your Expectations – Every time you succeed in something, you tend to raise your expectations and often that takes a lot of fun out of the next step. If you fail to meet your goals, revise them because they’re probably out-of-date anyway. Succeed at a different level. Understand the Past, Don’t Dwell on It – Keep a mental or written ledger of your successes and failures. It helps you understand your strengths and weaknesses to help you grow, expand, enhance and leverage your strengths. Don’t Blame Yourself – The more you blame yourself for your problems, the more self-destructive you are. Self-blame is corrosive. If you realize that some things simply are outside of your control, then you can work around those instances and things will get better. Act – Every failure is an opportunity to try something new, something different. Go for it! Don’t get hung up on hanging on to where you are. People who feel fulfilled tend to protect their successes while challenging themselves beyond their comfort zone. When you seem to have nothing but failures, do a little self-analysis and realize you’ve developed better resilience, better mental toughness. When you find yourself with too much self-doubt, take mini-steps and make small changes. People who want to lose weight, quit smoking, begin an exercise program, quit drinking and quit eating red meat seldom succeed if they tackle them all at once. But those who achieve one from the list, build on that success. 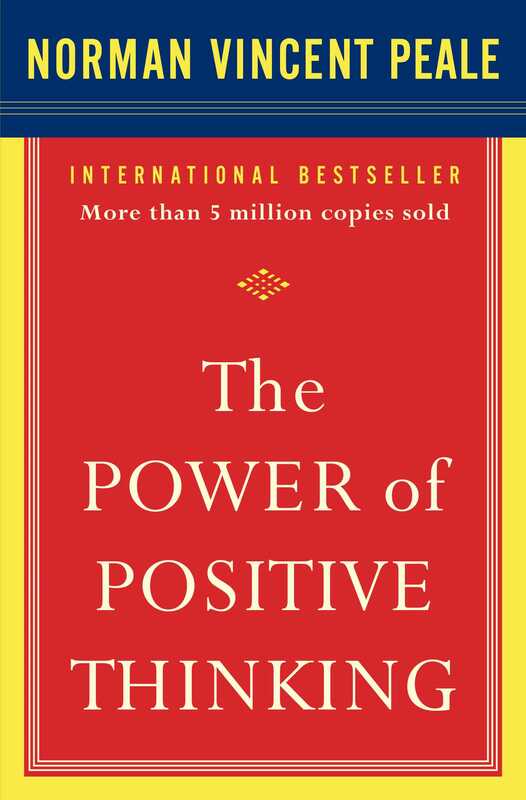 Dr. Norman Vincent Peale’s famous The Power of Positive Thinking is still valid in helping people understand that positive thinking can help you move forward, while negative thinking can drag you down. We live in a goal-driven society. Coaches love to repeat the mantra that “Quitters never win and winners never quit.” Goals and objectives are critical to keep us growing and improving. Striving for success is a goal we should never question. Working to fail isn’t even on the roadmap. But it comes with the territory; and handled properly, helps you achieve even more than you thought possible. Those who let failure immobilize them never know the exhilaration of failing forward.